Today, King Features retired the Amazing Spider-Man newspaper strip and, with it, beloved longtime Marvel comics inker Joe Sinnott also retired. Although Joltin’ Joe stopped inking comics in 1992, he’d still been doing the Sunday Spider-Man strip… at the age of 92. 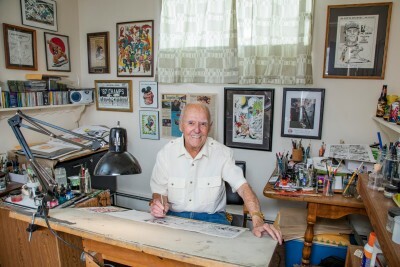 He worked for Marvel for 69 years, most famously, to many of us, on Fantastic Four. Indeed, his first inking job for Marvel was Fantastic Four #5, which introduced Doctor Doom. During his run on that title, he inked the introductions of Galactus, the Silver Surfer, the Black Panther, the Inhumans, Adam Warlock, and many others. 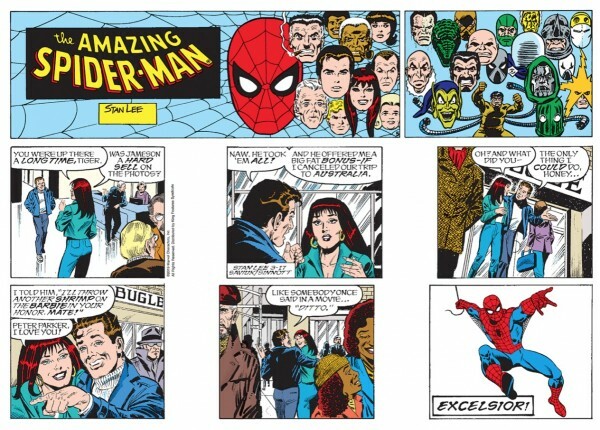 If you’re seeing the Spider-Man strip in your newspaper, it’ll probably remain, but in reruns. The original strip is over, according to its writer and artists, and its syndicate. Today’s Sunday strip, above, is the last original strip, credited to Stan Lee (as so much of Marvel has been), but actually courtesy of Roy Thomas, Alex Saviuk and Joe Sinnott. Here’s a profile of Mr. Sinnott from the New York Times two years back. Yes, on Facebook today, Mr. Sinnott’s son announced his father’s retirement. If it’s so, I wish Joltin’ Joe many happy returns. But I like to think that, somehow, in some way, we’ll find out that his story as a comics artist is continued. Something I care a great deal about is right on the precipice — and at a time when its identity is more popular than ever. I speak of the comic book. Growing up, I learned a lot from them, including the basics of storytelling, acceptance of others, and wonder at the universe, and they gave me a lot of joy. But it pains me to see that just about nobody buys them any more. Comic books are mostly unseen, hard to find, expensive to purchase, and also difficult to get into because of convoluted and interwoven back stories that scare away all newcomers. While comic-book characters rule screens around the world, as demonstrated again just this week with the out-of-this-world success of “Captain Marvel,” grossing over $150,000,000 in its opening weekend, titles of big-name characters from Marvel (which spawned Captain Marvel, as well as Spider-Man, the Avengers, Black Panther and countless others) and DC (Superman, Batman, Wonder Woman, etc.) rarely scrape together 100,000 unit sales. In fact, many of today’s comics from the big two publishers linger down around 20,000 sales or lower. I have tried, more than once, to pencil out just how a Marvel comic book selling under 20,000 copies is sustainable. The answer: It’s not. But then, none of them are. Here’s something else that isn’t happening. All of those movie (and TV) fans of these Marvel and DC heroes and villains? They’re not turning into buyers of comics. The movies have replaced the comic books. On the one hand, you have superhero mythology in mainstream media– a mass market appealing to millions upon millions of consumers world wide, a potential audience beyond anything imagined by comic book creators half a century ago in our most weed-enhanced fantasies. And on the other hand, you have superhero publishing in the direct market– a shrinking niche market numbering in at most a hundred thousand, dominated by a core readership of a few thousand, whose financial support is strained to the breaking point and beyond by ruthless and extortionate marketing of low-value-added gimmick publications that thwart long term emotional investment. He also proposes a solution: Recognize that that the money, and the interest, in comics is actually an interest in the characters and the stories — in the intellectual property — and that the companies should just use comics creation to foster creativity accessible in other media. … But, I would ask… isn’t that what’s already happening? 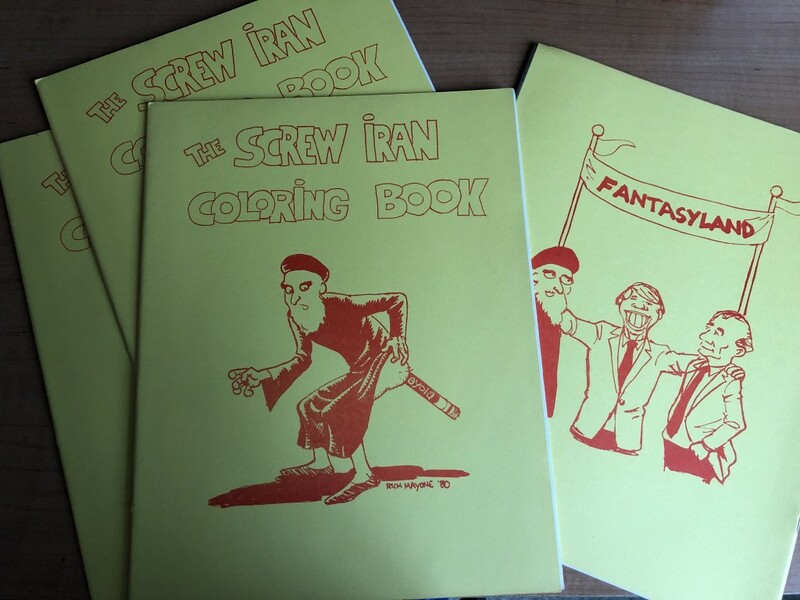 Last week, just before I came across Conway’s blog post, I happened to read a 10-point prescription from comic-book-store owner Brian Hibbs on how to save the comic-book industry. Here it is. For the most part, Hibbs wants the direct distributor of comic books, Diamond Comic Distributors, to change a lot of its terms, and his fellow comics retailers to stop falling victim to all sorts of sales schemes intended to extract more money from the wallets of an ever-dwindling supply of comics buyers. They chattered about this for a while, and much of the subsequent discussion from the audience and the panel revolved around my statement, and then about 20 minutes later, someone else on the panel turned back to me and said, “No one up here answered your question, did they?” And I said no, they hadn’t. Before the panel, I had gone out to the exhibit hall — what, back in the 1970s we used to call the dealers room — and wound up chatting with a middle-aged guy named Koop who was selling comics from the Silver Age. I asked him where he was from, and guessed correctly — it’s hard to mask a Pittsburgh accent — but he’s lived in Arizona for decades. Koop said that selling comics is his hobby, and it’s a lot of fun, but the rest of the time he’s a database administrator. We talked about comic-book shows of the 1970s and people we used to know in common, and I told him that I now realize what a good father I had because he was willing to take me when I was 12 years old to New York City in 1975 at great expense and inconvenience because he knew how much the chance to go to a comic-book convention — my first! — meant to me. He took me the following year, too, and we stayed over, and the year after that I got to take a friend as well. After that, I was selling comics at conventions and hiring friends or, later, my niece to work for me. Just then, a guy in his 30’s next to me said that his son, aged 12, was here in the room and loving every minute of the convention. I’m still doubtful that that kid is ever going to develop a love for Silver Age and Bronze Age comic books, but it was nice to hear. I took the ACG comics, and two DCs, all from 1965 to 1971, and paid Koop $55. He cut me a break on the price, and it felt to me like a steal. If comic books have a future, it won’t be as periodicals. Will they even be in print? I don’t know. I’m glad they’re here while I’m here. I don’t expect things to last forever, and I don’t hold onto the past. Although I do plan to hold onto my comic books. Of all the tributes to Stan Lee that I’ve read in the past day-and-a-half, it’s Gerry Conway’s that has touched me the most. Conway succeeded Stan Lee in scripting Spider-Man at age 19 (!!!). 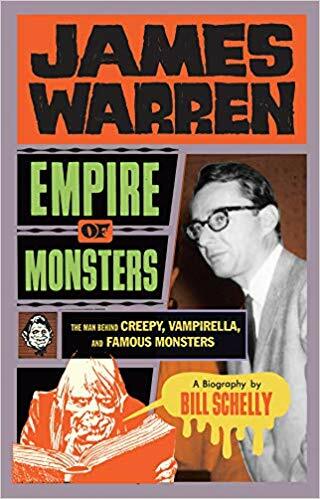 He was a significant comic-book writer for Marvel from 1971 to 1977 (and a minor writer for DC for three years before that), and thereafter became a major comics writer elsewhere, before transitioning into television. So he knows what he’s talking about — and he attributes his entire career to the jolt given him by an early issue of Fantastic Four — and, therefore, to Stan Lee. What I most appreciate about this piece is that he looks at Stan unsentimentally — noting the shortcomings many of us saw — but comes away recognizing just how essential Stan Lee was to revolutionizing both comic books and pop culture. What, according to Gerry Conway, was Stan Lee’s most significant achievement? Making it cool to want to work in comics… and to love comics. “Nobody aspires to play in a rock band if they’ve never heard of a rock band. The Marvel Bullpen of the 1960s was comicdom’s first rock band. According to longtime DC Comics scribe Elliot S! 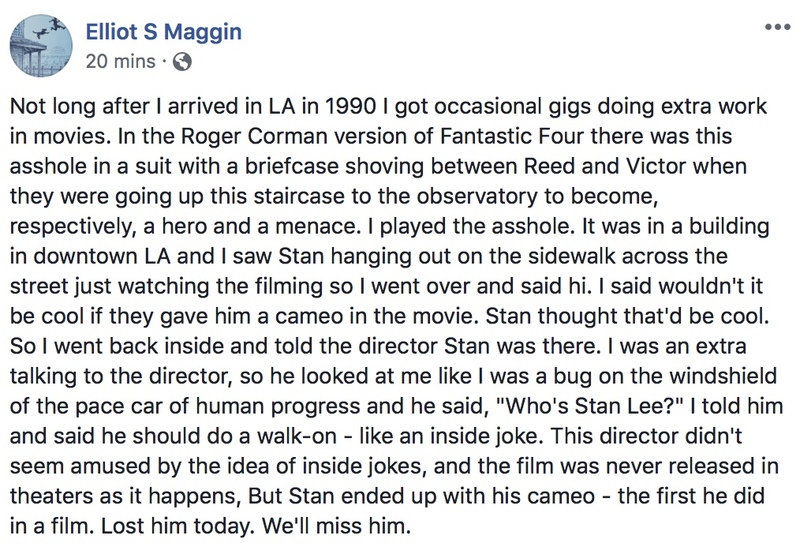 Maggin, here’s how Stan Lee got started in a career in cameos. Countless young people like me read this at the time and were positively influenced by it. 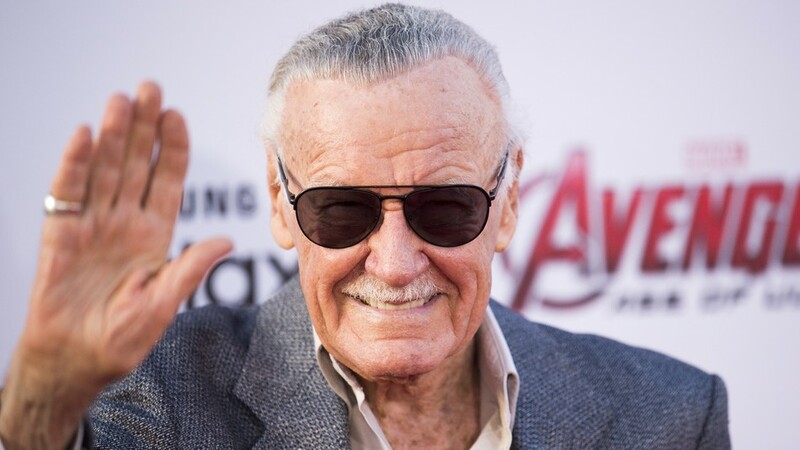 Stan Lee has died. And with that, we’ve lost the last luminary of the Golden Age of comics. I owe the man a lot. He and his creative partner Jack Kirby shaped my early life, helping me to understand that while each of us would always have problems to deal with, there was a universe of adventure awaiting our exploration. Kirby was the cosmic explorer, a man overfilled with big ideas and the drawing ability to set them down on paper. It was Lee, though, who supplied the underlying humanity — whether it was the tortured Ben Grimm trying to hold onto his sense of self while trapped within the body of a monster, or, even, the imposter who’d taken Ben’s guise but who, as he learned about Ben’s noble character, sacrificed himself to save the rest of the Fantastic Four. Kirby’s later comics, without Lee, were fun but soulless; Lee’s few attempts at comics without Kirby were all spin and no groove. While DC characters like the Flash and Green Lantern had all the personal luster of a subcommittee hearing, Marvel’s characters were conflicted and torn: Tony Stark, the munitions maker with the damaged heart trying to protect those closest to him while supplying arms; Thor, trying to balance the competing demands of godhood, an overbearing father, and the mortals he was drawn to; Bruce Banner, a sensitive scientist struggling with the rage he personified as the Hulk. The Silver Surfer, in particular, trying to find his proper place in a universe that’s been closed off to him. These and many more speak to Stan Lee’s gift for archetypal character. I’ve run into Stan Lee many, many, many times over the course of my life, and not just at comics conventions. At the Beverly Center, a mall on the west side of town, I was going down one side of an escalator while he was rising on the other, his lovely wife in tow. I’ve seen him on the street or at events here and there throughout the past 30 years. A client of mine had Stan Lee consulting for him. About four years ago, I literally almost collided with him in a crowded stairwell at a hotel, where he was pursued by admirers. This is a man who was famous as early as 50 years ago, speaking on college campuses and even putting on a show at Madison Square Garden. The Marvel movies of the past 10-plus years, with his signature cameos, only increased his fame. Last night, as I was leaving the gym, I came across a white Dish satellite panel van, its interior lights left on, I assumed, by a driver who was now working out in the gym. I was tired — bedraggled, even — but made my way back around the corner and around another corner and into the gym to tell the man at the front desk that someone had left his lights on and that they should make an announcement. This wasn’t on a par with warning people about the imminence of Galactus, but it still reflects the sort of values I learned from my parents and in indelible ink from Stan Lee and Jack Kirby and that I try to practice every day. His work, though easily mocked as lowbrow pop culture, was an inspiration to millions of us. He also brought delight to a lot of lonely bookish kids like me all across the world.